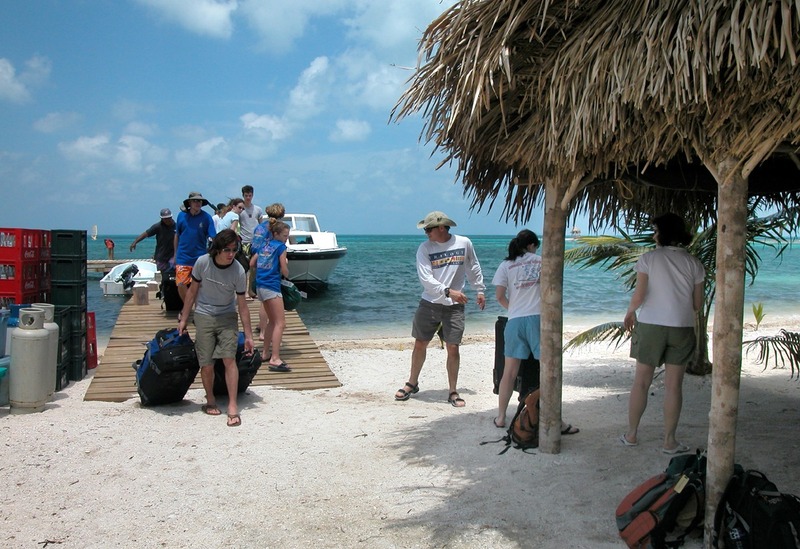 Belize Travel FAQ - How Do I Get Ready to Travel to Belize? How do I get ready for travel to Belize? Read this section when you sign up, don’t wait until the last minute to get ready, you might find you won’t have enough time. Passports are required for travel to Belize. For an application, contact the U.S. Post Office. You will send the U.S. Passport Service a certified birth certificate along with passport photos and the completed form. Your passport must be valid throughout the duration of your stay in Belize with proof of return ticket. If you do not have proof of a return ticket, your passport must be valid for six months past your entry date into Belize. Of course, almost all travelers will likely have a planned return ticket. Visas are automatically distributed on the plane to U.S., Canada, and British citizens. Persons from other countries need to contact their consulate. When packing make two copies of the first page of your passport and carry one in a different place from your passport and leave one with a friend. We will send your T-shirts when we’ve have received both the final payment and your completed registration form. If you don’t get these to us until a week before the trip, your T-shirt will probably arrive while you are gone. We have found that T-shirts sent to Canada take 2 weeks minimum. What will the weather be like on my trip? I need to know for packing. In general, late November – May is the “dry” season, with February – March enjoying the most ideal weather. Ideal weather means a temperature in the low 80s during the day and the low 70s at night, and winds at 10-15 mph. During some years the early parts of the dry season are still fairly stormy. June through early November is the “rainy” season, but out at Glover’s it’s not nearly as wet as on the mainland. The worst weather of the year is during September and October. Online weather forecasts are for Belize City, there are no forecasts for Glover’s Reef. There is no way to predict the weather for specific dates! What do I need to know to get ready? The most productive thing you can do is read the material about your trip, and read it as soon as you sign up. 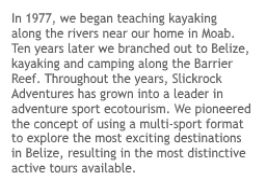 We will mail you complete trip documentation when you sign up. Many factors influence your enjoyment of your trip, and many of these hinge on being prepared. We consider the following to be required reading for those joining us: (1) the detailed itinerary sheet of the trip you are on, (2) this page, (3) the Belize Supplemental Information sheet, and (4) Our Hints for a Better Vacation. Our staff will be happy to answer all of your questions, give us a call. Why do we need to bring money if your trips are all-inclusive? We cover everything except alcoholic beverages, Belize exit tax, scuba diving, advanced kitesurfing lessons, tips, and taxis to and from the airport, which can add up to several hundred dollars. If you or your luggage were delayed, an already difficult situation would be greatly compounded if you were relying on credit cards or unreliable ATM machines. It can cost up to $795 for one person to catch up with the trip. Please see our packing list for Belize for further information; request this document by email or phone. Here is an example of the breakdown of how much cash one should bring for a family of four. You will likely bring most of it home, but we recommend $2500 in US dollars to cover all extra costs and possible emergencies. It can be extremely difficult to get cash in Belize, you definitely want to bring it with you. Is it customary to tip the staff? Tips should reflect your satisfaction with crew performance and are not required. Tipping is often organized as a group tip (one guest collects the entire tip from all members of the group and presents it to the trip leader at the end of the trip). The trip leader then splits the tip between all staff members. Staff members include trip managers, guides, cooks, and island caretakers; company owners are excluded. Tips may not be put on guest credit cards, cash is required as Belize is a cash-based society. The standard in the industry for each guest is 10-15% of the trip price. What kind of exercise should I do to get ready? For physical conditioning, the best thing to do is to increase stamina and general health. You will be walking, bending over, scrambling up, lugging boats over rocks, getting in and out of boats, swimming, falling into the water from your windsurf board and getting back on, etc. One should focus on all-body conditioning like yoga and also stay really healthy and DON’T hang out around sick people. Do you have streaming internet at home? Here’s a fantastic streaming yoga class on line! It’s not free, but affordable. What if I plan to travel as a single parent, or bring one of my kid’s best friends along? Are there any special rules about that? My trip is only a few weeks away but I haven’t received my T-shirt, and I am supposed to wear it when I meet my group. Where is it? We hold T-shirts until receipt of both the final payment and your completed registration form. If you don’t get these to us until a week before the trip, your T-shirt will probably arrive while you are gone. We have found that T-shirts sent to Canada take 2 weeks minimum.